BLOOMFIELD, Conn. — Jacobs Vehicle Systems,a manufacturer of diesel and natural gas engine retarding systems and valve actuation mechanisms, has launched a compression release engine brake for the all-new 2020 Hino XL Series truck. Over the past two decades, Hino Motors’ and Jacobs Vehicle Systems’ engineers have collaborated to provide engine brakes to the Japanese market. Today, the relationship continues with the introduction of the A09 engine to the U.S. market. 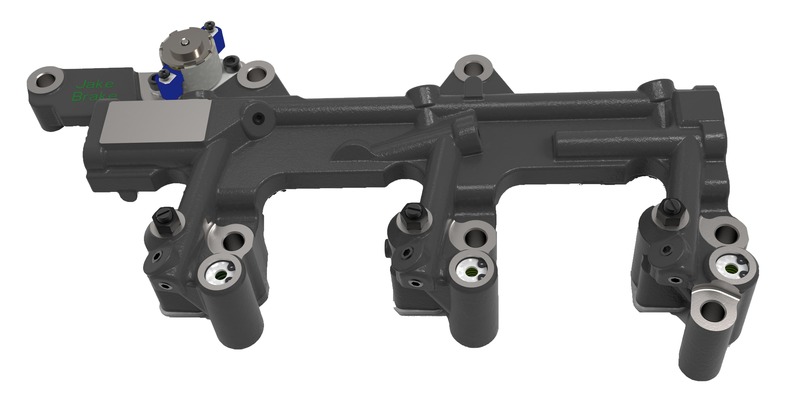 The two companies partnered to design a high-performing compression release engine brake for Hino’s first Class 7 and Class 8 commercial vehicle in North America. The Jacobs Engine Brake is currently available on Hino’s A09 engine and comes factory installed on all class XL7 and XL8 Series trucks. To learn more about the newly launched XL Series and the Jacobs Engine Brake performance, visit hino.com/hino-trucks-xl-series.html or jacobsvehiclesystems.com. Jacobs Vehicle Systems is headquartered in Bloomfield, Conn., where it has a 25,000 square meter design, testing and manufacturing facility, with support sites in Europe, Japan, and India as well as manufacturing facilities in Suzhou, China and, from 2019, Brno, Czech Republic. Hino Motors, Ltd., headquartered in Hinodai, Hino-shi, Tokyo, Japan, is one of the leading heavy-duty truck manufacturers in Japan.